Do you know them? 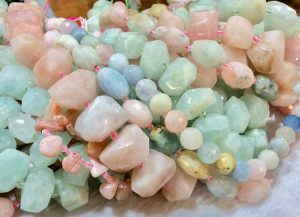 They are morganite beads. It is a heart chakra stone. Brings peace, lightness and joy for everyone.